The update of March 2019 for the new Joomla 3.9.4 release introduced a minor modification that could impact all the Vik extensions. The CSS framework of Joomla was modified, and this change made the classic "Yes/No" buttons stop working. 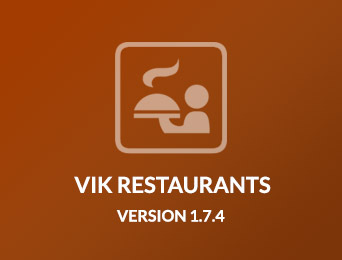 VikRestaurants 1.7.4 is now available. This update introduces a new map management, some new features and fixes a few bugs. 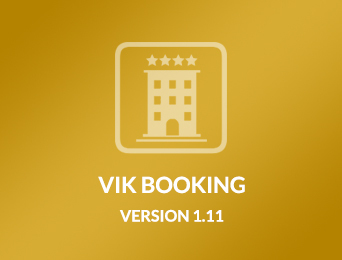 With just a few days left before welcoming the new year 2019, we are pleased to announce the release of the new Vik Booking v1.11! This feature-rich update introduces hundreds of incredible new features and improvements. Updating will be very easy for those who are using the Channel Manager (e4jConnect service), and for those who have recently purchased the software. However, those who never used the Channel Manager, and those who have an expired Support License, will not be able to download the update for free. Vik Booking and Vik Channel Manager together make a complete software suite for any kind of accommodation. Thanks to all the suggestions and feature requests collected from our clients, we were able to add several improvements and new functions to our complete hotel software suite. 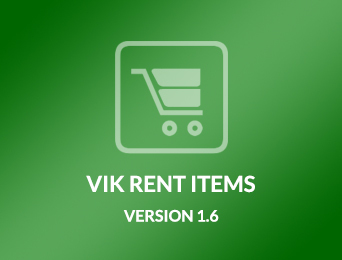 The new version 1.6 of Vik Rent Items is finally here! This is a major release that introduces tens of new features and improvements, plus a completely new design for the back-end and front-end sections! Vik Rent Items v1.6 is now available! This long-waited update introduces a new framework compatible with any Joomla 3.x version, as well as with the future 4.x releases. This new version 1.6 may look very different from the previous ones, but it's the same component with just many enhancements. Please read this article to see how you can upgrade, and what are the limits for downloading the update for free. VikSecure 1.1 is now available. This version implements a lot of new features and contains up to 3 bug fixes. VikAppointments 1.6.1 is now available. This patch contains up to 10 bug fixes and implements a new system to override META DATA for services. VikRentCar v1.12 - A feature-rich update! 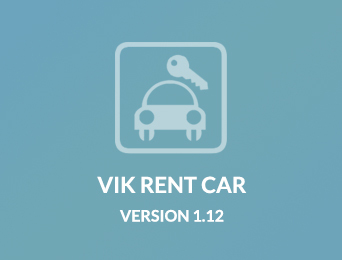 A new version of Vik Rent Car is now available with a new stunning look and tens of new and exciting features! Are you using our Drivers template? If so, please read this article as your template needs to be updated as well. VikRentCar v1.12 is now available! We have introduced hundreds of new functions in this long-waited update, by completing over 90% of all the change-log requests we have collected from our clients. Just like its predecessor version 1.11, Joomla 2.5 is no longer supported. This update is only for those who are using Joomla 3.x, and the new framework provides compatibility also with the upcoming Joomla releases. 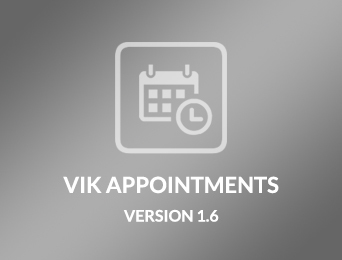 A new version of VikAppointments is now available with a new stunning framework and lots of new features! This version introduces two new ways to install Patches or Updates: through the Joomla Update Sites and through the new VikUpdater plugin. Find out more about installing this update. 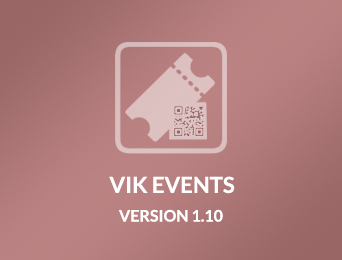 A new version of VikEvents is now available for download! 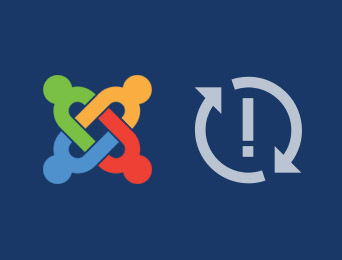 Like all the other extensions, this update introduces new installation methods for Patches and Updates: through the Joomla Update Sites and through the VikUpdater plugin. 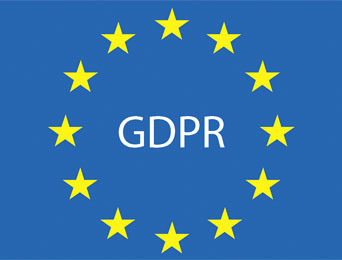 The European Data Protection Regulation will be applicable as of May 25th 2018 in all member states to harmonize data privacy laws across Europe. The main questions: are the Vik extensions compliant with this new law? What actions should be taken in order to be compliant?